This project was funded by The Vale of the White Horse Community Arts using money received from Redcliffe Homes. The idea was conceived and organised by Margaret Smith. Ninety-seven people were involved in stitching a piece, or attaching the stitched pieces to the padded base material, or adding the names of all the stitchers around the edge of the finished map. At the outset visits were organised to view similar maps that had been made and hung in nearby villages. 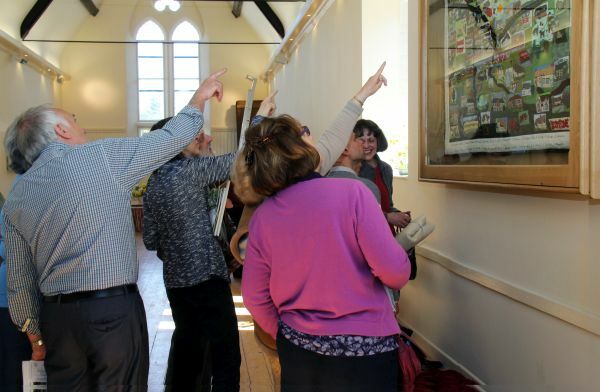 Then a series of workshops were held in the Village Hall between September and December 2014, where contributors had the opportunity to discuss their project with the textile artist Anne Griffiths. Marianne Astor and Jean-Anne Schiff ran workshops and gave advice. Some contributors stitched at home while others preferred communal stitching sessions. The map pieces were completed early in 2015. 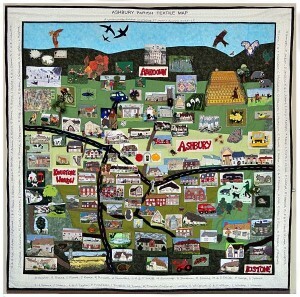 Rose Rousell tacked the pieces to the map background and Diane Lovegrove stitched each piece in place. The finished map was then displayed in an oak cabinet in the newly refurbished Village Hall. 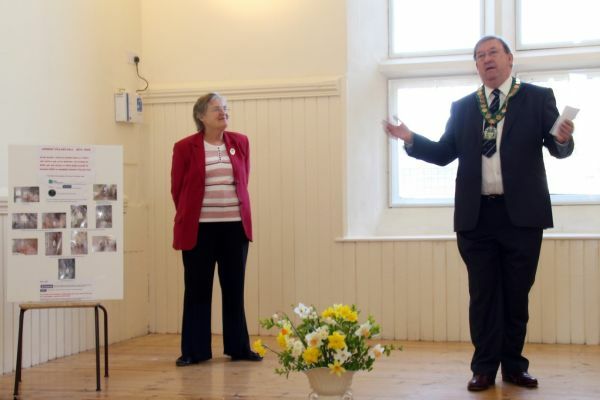 Over the weekend of Saturday 18/19 April 2015 the Village Hall Committee hosted three events to allow as many people as possible to view the Textile Map and the newly refurbished hall. Over 200 people participated. On the Saturday morning the map was unveiled by Mandy Parker from Redcliffe Homes who had funded the textile map. Other guests were Cllr Mike Badcock, Chairman of Vale of White Horse District Council who had given grants towards the refurbishment of the hall, The Mayor of Wantage, Fiona Roper, Abi Brown, the Community Arts Officer, Anne Griffiths the textile artist and Stuart Roper (design artist)who took photos of houses and designed the map. 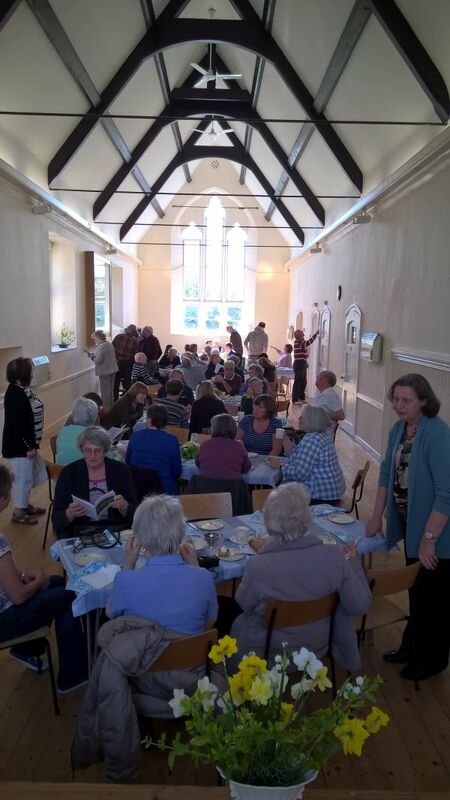 On Saturday afternoon there was a cream tea and on Sunday afternoon a historical walk of Ashbury and Kingstone Winslow followed by cake and tea/coffee and another opportunity to view the hall and map. 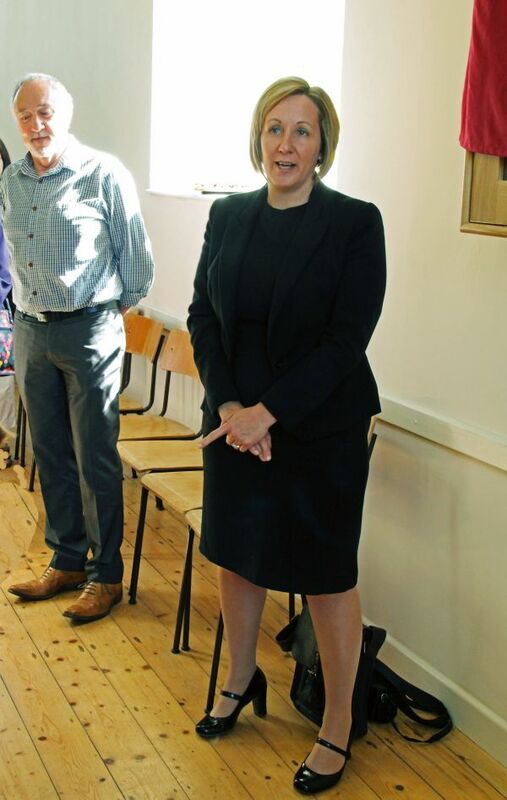 Then on 5th July 2015 an Old Scholars’ Day was organised to enable those who had attended Ashbury School in what is now the Village Hall, could look around the newly renovated Hall, view the Textile Map and meet up with old school pals over a cup of tea and cake.